It is the time of year that we experience severe weather in the form of heavy rain, hail, high winds, and tornadoes, and the conditions can change very rapidly. 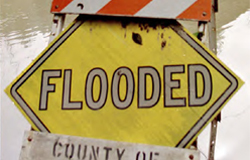 With yesterday’s severe weather throughout the State, it is a reminder to stay informed and be prepared. For many years, the “superbug” methicillin-resistant Staphylococcus aureus (MRSA) was confined to hospital patients, but since the 1990s it has been infecting otherwise healthy people in settings such as schools and locker rooms. Researchers now report the discovery of MRSA in U.S. wastewater treatment plants (WWTPs), identifying another possible environmental reservoir for the bacteria [EHP 120(11):1551–1558; Rosenberg Goldstein et al.]. People shed MRSA from their nostrils and skin and in their feces, which makes wastewater a likely vector for the bacteria. Previous research had identified MRSA in Swedish WWTPs, but no studies had been conducted on U.S. facilities. Researchers, led by scientists from the University of Maryland School of Public Health, confirmed that methicillin-resistant Staphylococcus aureus, or MRSA, exists in the U.S. wastewater treatment plants. 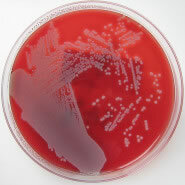 Staphyloccoccus aureus, or staph, is a bacterium responsible for infections contracted in hospital settings that are noted for being difficult to treat and potentially fatal. 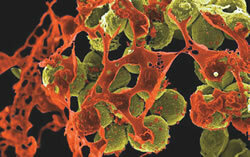 The bacteria can be present without causing an active infection. A team led by researchers at the University of Maryland School of Public Health has found that the "superbug" methicillin-resistant Staphylococcus aureus (MRSA) is prevalent at several U.S. wastewater treatment plants (WWTPs). MRSA is well known for causing difficult-to-treat and potentially fatal bacterial infections in hospital patients, but since the late 1990s it has also been infecting otherwise healthy people in community settings.